THE BEST COMPUTER BUYER MESA HAS! At our pawn shop in Mesa, we are the most prominent electronics and computer buyer because we pay you more cash than the competition! Fast, easy, and quick; walk out the door in minutes with fresh cash in hand. We can’t make it any simpler other than adding a drive-thru! For these reasons alone, we are the biggest and best computer buyer in all of Mesa, Tempe, Chandler, and Gilbert. Come and see for yourself why we’re #1! Used Computers, Used Tablets, and Used Electronics — We Buy Them All! Our pawn shop in Mesa will blow away the competitors! We take EVERY make and model of computer out there. 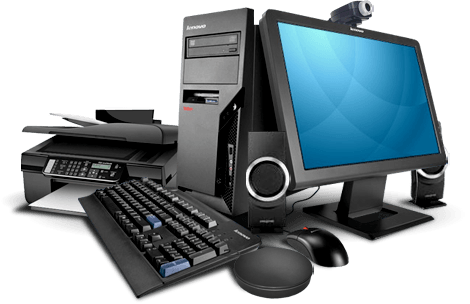 We buy Desktop Computers, Gaming Computers, Laptop Computers, Notebook Computers and more. If you have a Mac, Dell, Acer, Compaq, Toshiba, Sony, HP, anything at all and you’ve got our attention. Bring it in today to sell, trade, or pawn. It’s your decision! Do you have a Kindle Reader you no longer use? Perhaps an iPod, iPad, or other MP3 player or tablet that just sits around collecting dust? Why not bring them in and get cash today for it? All tablets and MP3 players are popular these days and we are more than willing to compensate you generously for them! Why Make B & B Pawn and Gold Your Computer Buyer? 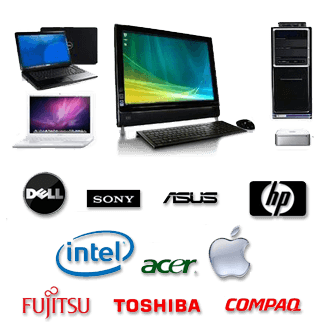 With over a decade of computer buying experience, our associates have become highly trained and skilled to be able to accurately value your used computer, used tablets, and used electronics. What this means is we can get you the most amount of cash in minutes because we know what your item is worth, and will never undercut our customers. We’re always happy to provide free quotes so that you can see yourself why we’re the top computer buyer Mesa, Tempe, Gilbert, and Queen Creek have to offer. If you need fast cash, and you want to be sure you’re getting the most money you can get and deserve, come visit B & B Pawn and Gold today. With over a decade under our belt, we’re here to provide top notch service and take care of our customers to the end. What you also have to keep in mind is that our decade long experience makes us experts on computers, laptops, and tablets. Our lovely associates are trained, experienced, and are there to get you the most cash a pawn shop can offer. Don’t believe us? Get offers! We’ll beat competitor’s offers a great deal of the time. So if you have used computers, laptops, iPads, tablets, readers, MP3 players gathering dust then bring them in to the #1 electronics and computer buyer in all of the Mesa, Tempe, Chander, and Gilbert area and walk away with the cash you need today!